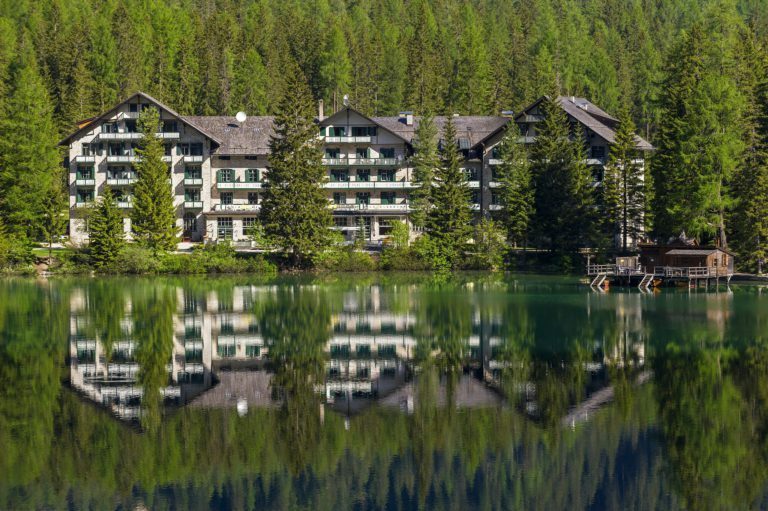 The Hotel Lago di Braies is located in the Braies valley, one of the most diverse and beautiful tributary valleys of the Puster valley. 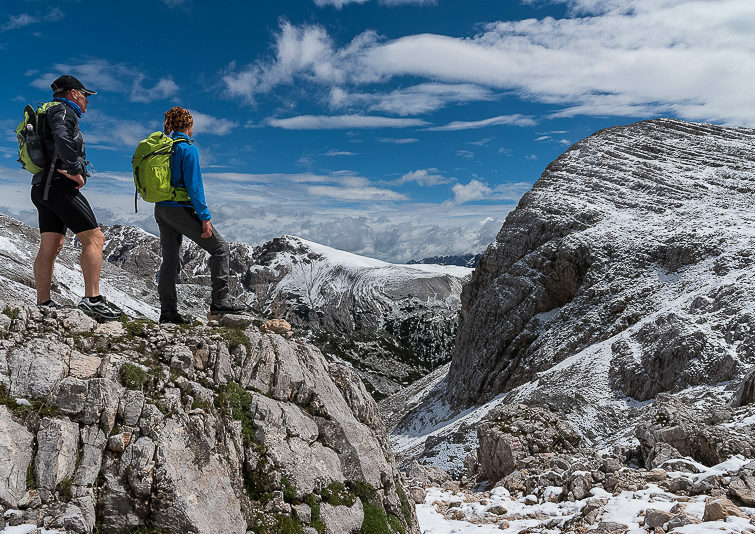 Nestled in the backdrop of the Braies Dolomites, the valley has preserved its original character and is considered to be the most primeval and abundant natural landscape of the Dolomites. From the rolling flower meadow to the imposing mountain range – here you can find everything your nature-loving heart desires. Looking down from the mountain peaks, the crystal-clear Lago di Braies sparkles like a jewel with its colors and diversity known all over the world. Bottle green alternates with olive green, midnight blue with steel blue and cobalt blue with azure. In the Spring it shimmers polar green from the ice water and in the Fall it reflects the colors of the larches. No matter how often you visit, it´s different every time. Due to its exceptional water quality, it was voted the water body of the year 2017. Mountain climbers want to reach high ground. 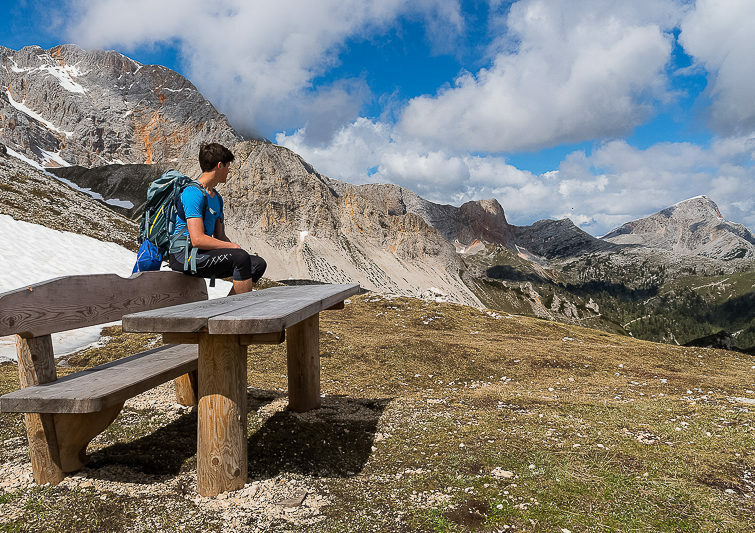 Thus, the Hotel Lago di Braies is not only a popular destination for day trips, but also an ideal starting point for alpine hikes in the fascinating landscape of the South Tyrolean Dolomites. 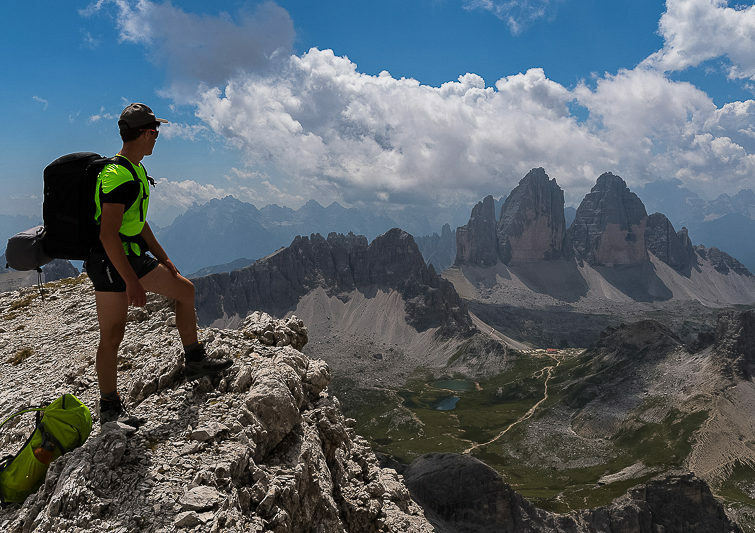 Panoramic summits and easy to reach high peaks, such as the Dürrenstein and Seekofel, as well as the Dolomite mountain trails, have made the region around Lago di Braies move up into the top ranks of the popularity scale. Despite all of this, the landscape has not lost its wildly romantic character. 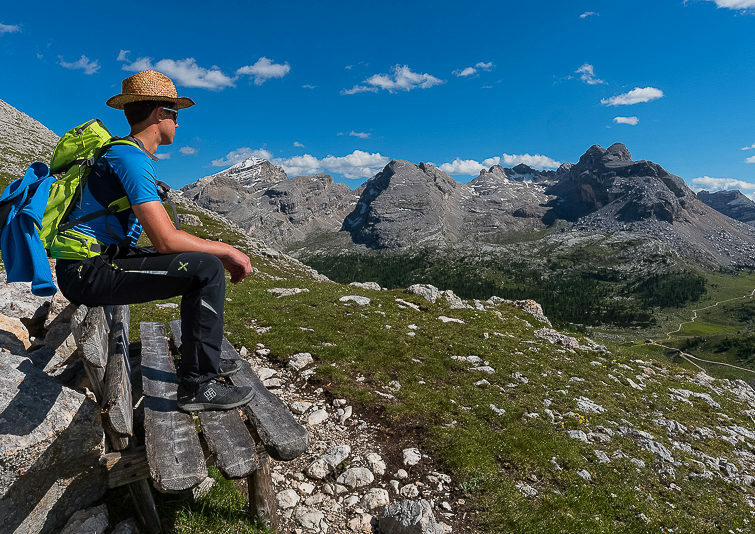 Enjoy the clear mountain air and a wonderful, untouched nature on various hikes in the midst of the magnificent scenery. And if you don’t want to go all the way to the top, there are plenty of pleasant walking trails in the valley. 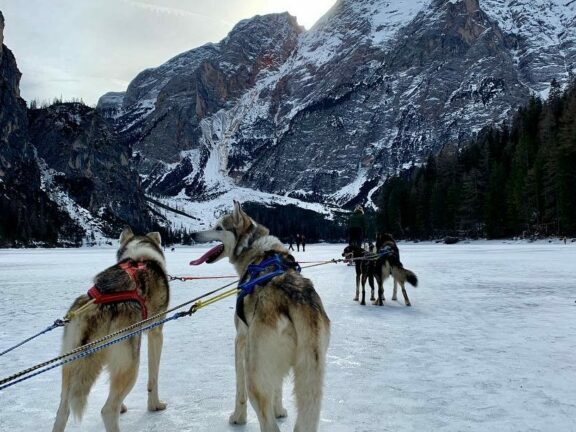 A loop along the banks is a great way to explore Lago di Braies – an experience for the whole family! 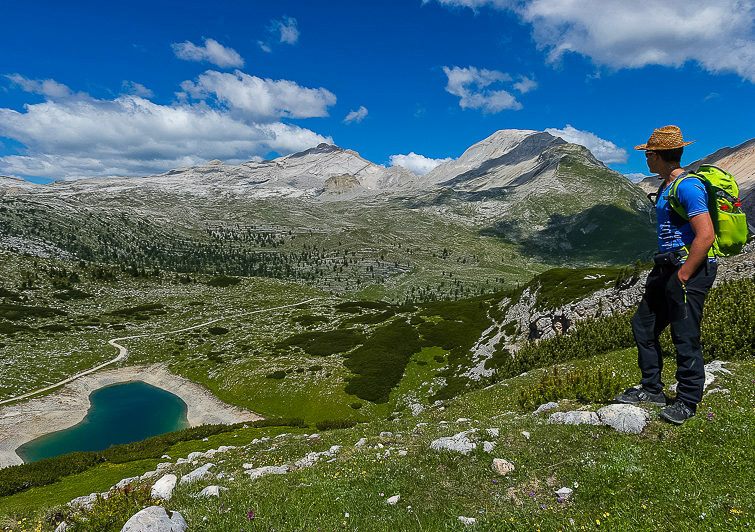 From Spring to Fall, Alta Pusteria is also a true El Dorado for bikers. 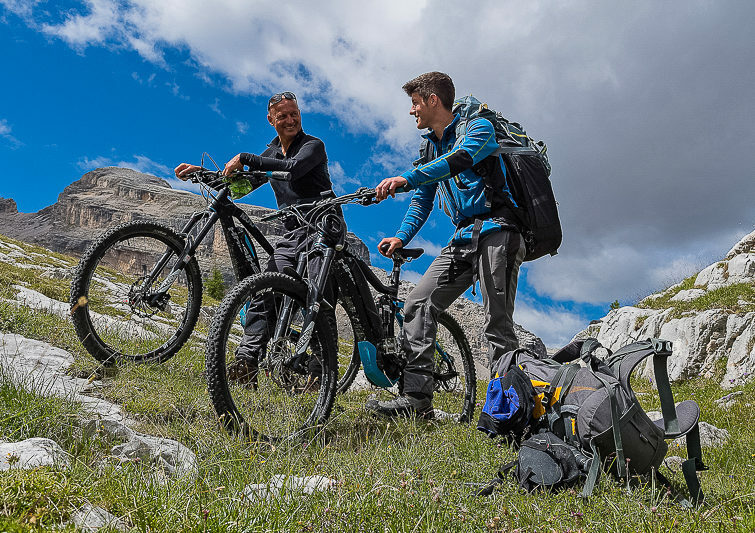 There are over one hundred different routes of all difficulty levels to choose from – and whether it’s particularly strenuous or delightfully comfortable, you will always be cycling in the midst of an impressive mountain backdrop. Our hotel reception would be happy to provide you with all the information you need for hiking tours, walks or bike routes. Also ask them for advice on events and musical entertainment in the various villages. We will be happy to help you!